This Tour Port Elizabeth image is courtesy of Flickr. Click on the Flickr account holder below the photograph to see more. Fig. 9. View in Botanical Garden at Port Elizabeth. 432 THE POPULAR SCIENCE MONTHLY of 60 feet (Fig. 8). I am further indebted to Mr. Galpin for an intro-duction to his brothers, the Galpin Bros., wealthy jewelers and com-petent amateur botanists, of Grahamstown, who took me in their tour-ing car to all the cycads within easy touring-car reach of the city. Grahamstown is an educational center, with a good college, a con-servatoiy of music and an excellent museum. 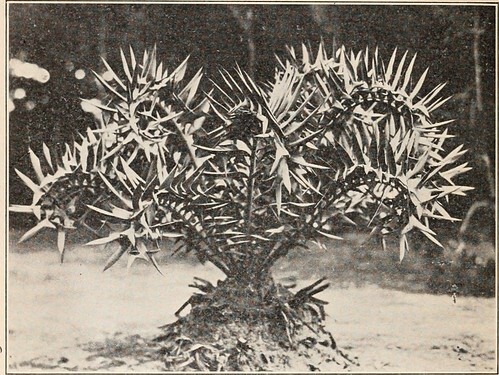 Dr. Schonland, the pro-fessor of botany in the college, gave me an account of the cycads of thevicinity, including the almost unknown Encephalartos latifrons. This image is automatically selected as it was published with this keyword/s relevant to Port Elizabeth: Tour Port Elizabeth. Please – CLICK HERE to report any ‘offensive’ images. Don’t forget to support and thank the photographer.